Adorable three bedroom, one bathroom ranch style home in popular Mackenzie Gardens subdivision. Crisp curb appeal welcomes you into the formal living room/dining room with decorative fireplace and bay window. Main living area opens into the cheery kitchen and large family room addition. Spacious screened porch off back overlooking the level, fenced backyard and patio. Full basement ready to be finished! One car garage and additional off street parking. Anderson windows. Per seller, hardwood floors under carpeting in most rooms. Newer siding, roof and HVAC. 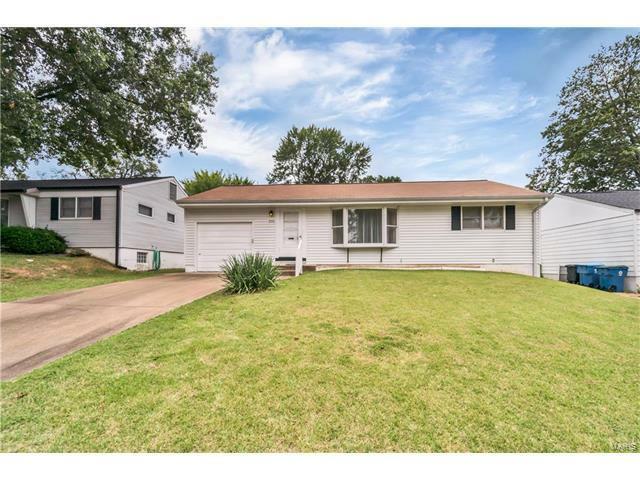 Conveniently located to shopping and highways and resides in the Affton School District. This is part of an estate and is an AS-IS sale. Heege Rd to N on Colleen Ave to right on Lynbrook Drive. Home is on right - or - MacKenzie Rd to west on Kingsway to right on Lynbrook Drive. home will be on left.